Tiny Showcase has done a fabulous job of promoting emerging artists. The Kim Beury “silvercup” limited edition print of 100 seemed to have sold out immediately, which is a pity as I would have liked to get one. 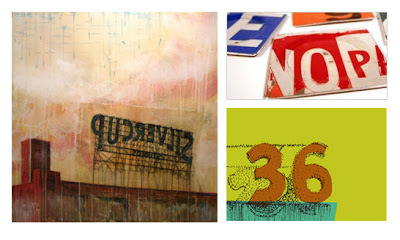 The eco-chic road sign coasters, $70 /set of 4, are by Boris Bally and available from Elsewares. You must check out the serving tray too, also $70 from Elsewares. Both appeal to my love of things “pop” and fit in nicley with the earth friendly “re-use/reduce/recycle” mantra. Finally, a digitally colored sketch of the pier 36 sign in San Francisco (by me). 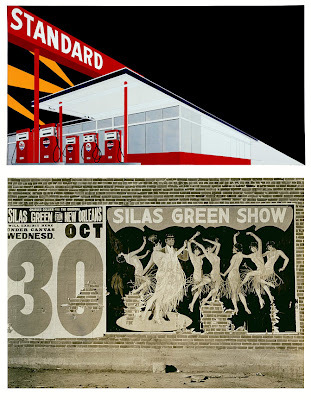 And if, like me, you have an odd fascination with signage, check out the artwork of Edward Ruscha and the photography of Walker Evans.